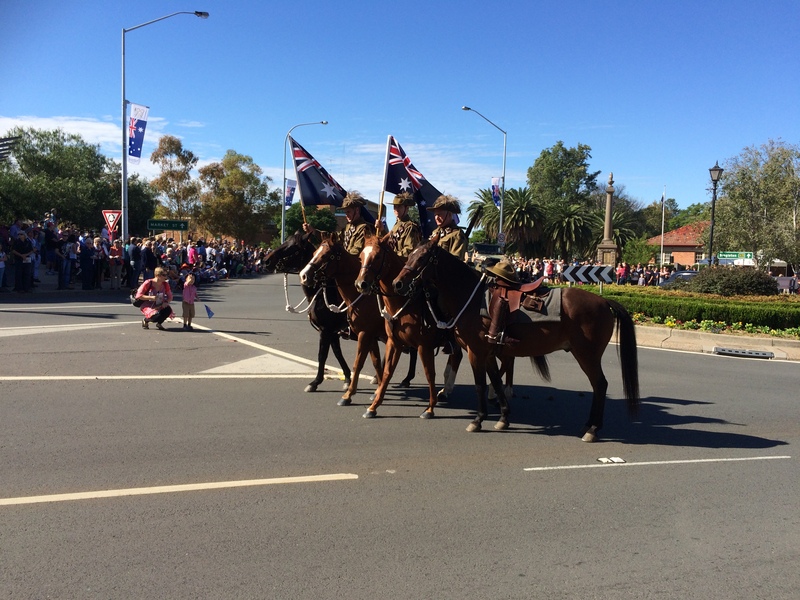 HomeANZAC – 100 years on. 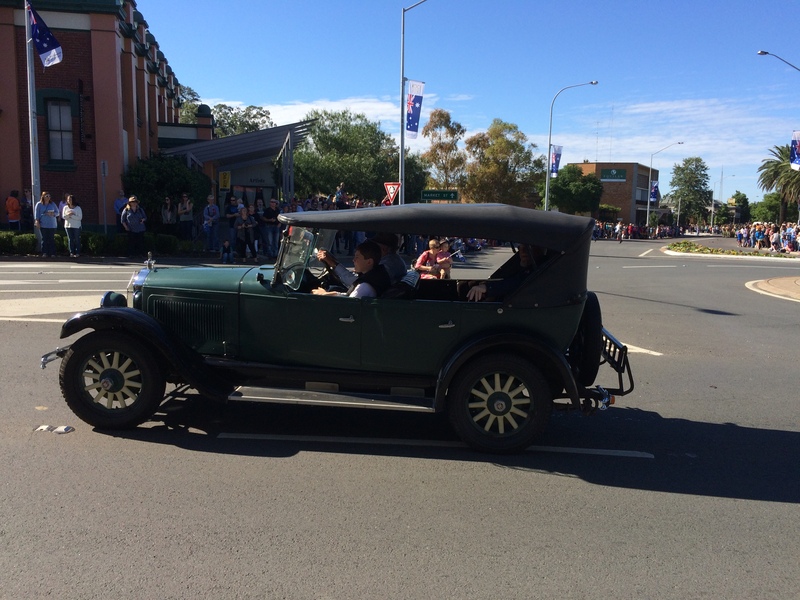 ANZAC – 100 years on. Today marks the 100th anniversary of the landings at Gallipoli in World War I. ANZAC Day is celebrated in Australia and New Zealand every year on the 25th of April. (ANZAC stands for Australian and NewZealand Army Corps). For those of us in Australia, it marks the date that we feel defined us as a nation. I recently read an article on ANZAC Day, that reminded me that we’d actually become our own independent nation in 1901. Although Australians served overseas in the Boer War, the general consensus was that it wasn’t until World War I that Australia ‘came of age’ as a nation. Whatever the reasons, ANZAC Day remains our most important day of national remembrance. Like many things Australian, it has its own quirks and traditions. The Dawn Service is attended by thousands every year. Thousands of people who would never normally get up before dawn stand around cenotaphs all over the country, listening to the sounds of bugles, bagpipes and hymns, and remembering in silence those who served all over the world. There’s a march, later in the morning. It’s full of soldiers, sailors and airforce personnel. There are veterans, school children and service organisations. There are bands. 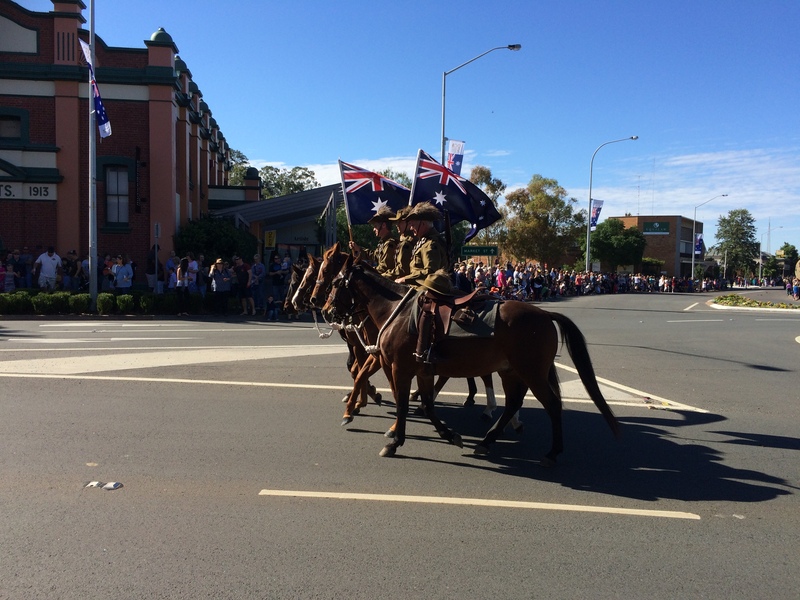 They play things like Waltzing Matilda as they swing along, keeping the time for those marching. Our march today was led by The Light Horsemen, leading the horse of the deceased soldier, boots reversed in the stirrups. There’s a service next, with a catafalque party, hymns, the national anthem, and the ode. There are poems, an address, and The Last Post is played, followed by a minute of silence, and then the Rouse or Reveille. 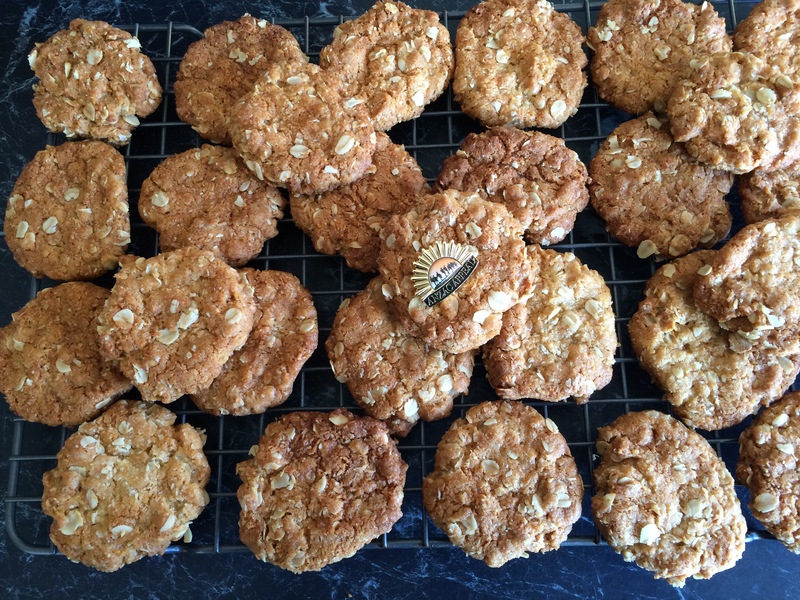 People may then go on to ANZAC Day lunches, Anzac biscuits, or other family things. There are always war movies on the television, and heavy news coverage of the various ceremonies around Australia. Today’s ceremonies were very similar to every other year, but in one way they differed. The turn out of people all over Australia was astounding. Our small rural town saw at least 1000 at the Dawn Service, and probably several thousand at the march and the service following it. Normally the numbers would be good, but significantly less. When you consider that our town’s population (including surrounds) is probably less than 16,000, that’s pretty impressive. There was so much interest in the commemorations at Gallipoli itself, that there was a national ballot to determine who could go. 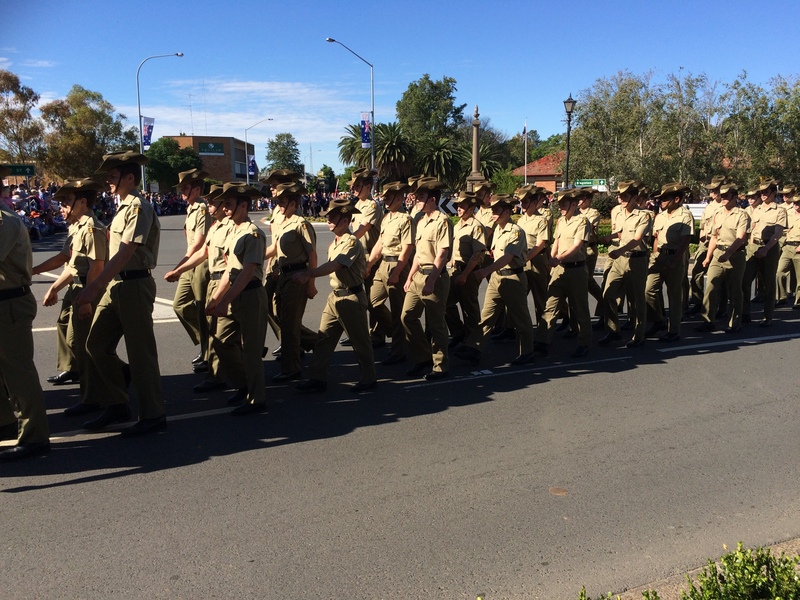 Many Australians take the pilgrimage to Gallipoli, and more recently, Fromelles in France. 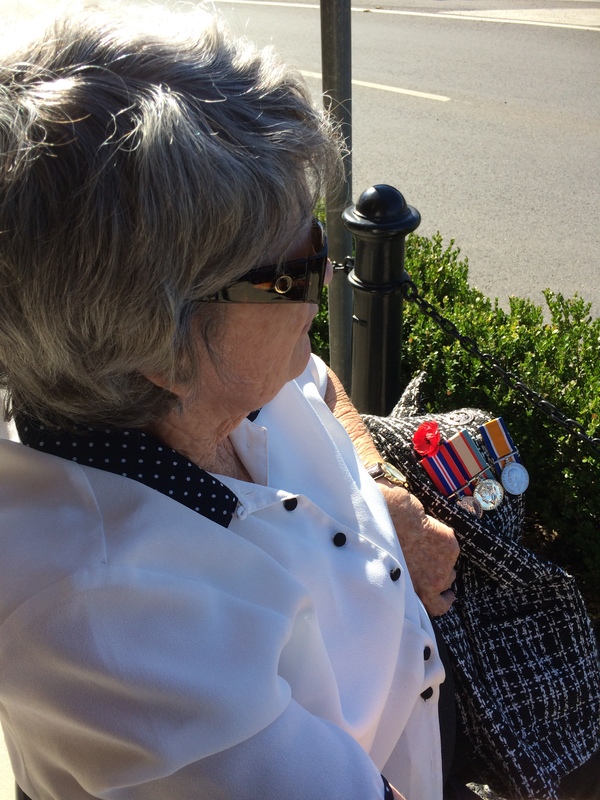 Young Australians are taking the task of remembrance seriously. Today, on this 100th anniversary of the Gallipoli landings, we will remember them. Lest We Forget. ← Swancon and the #c1blitz!